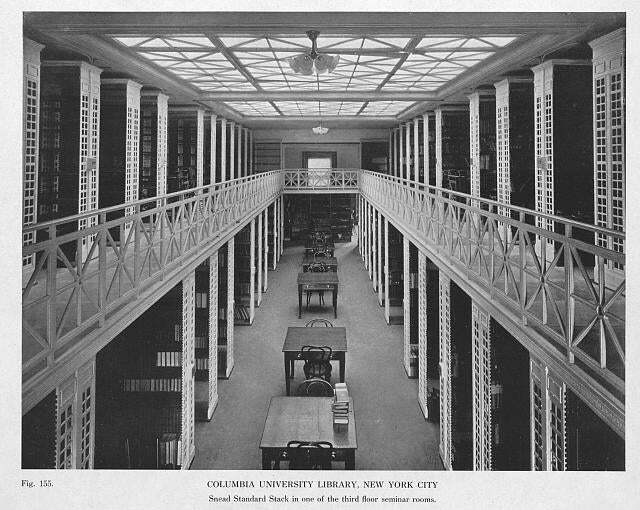 How Snead bookshelves made America's biggest libraries possible. 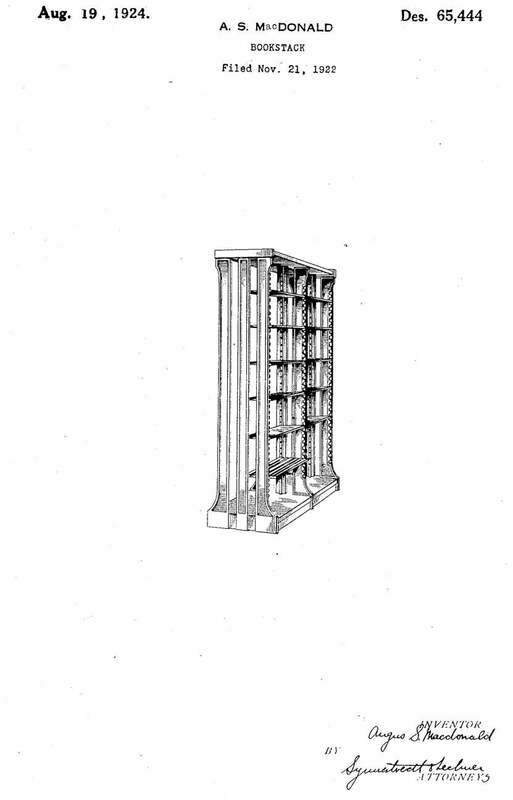 Drawing from a 1922 patent for Snead’s shelves. 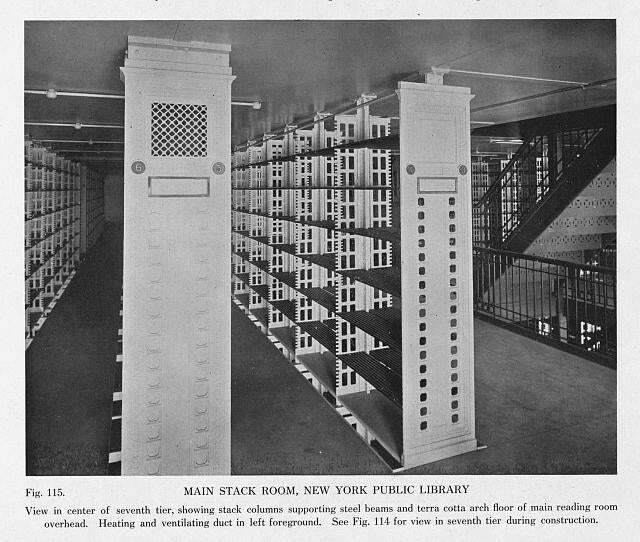 Snead & Company dominated the bookshelf industry for two generations. 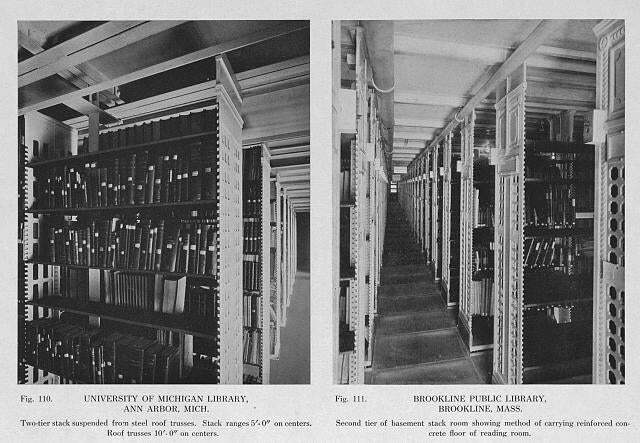 The company’s influence on the American bookscape diminished in the 1950s—due, in no small part, to the changing nature of library design, which de-emphasized large public institutions in favor of smaller library buildings. 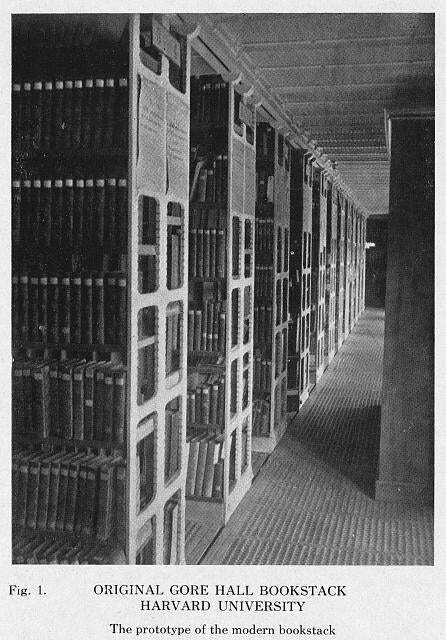 But Snead & Company’s behemoth bookshelves are still housing books at countless older libraries across the country, from the Library of Congress to University of Michigan. 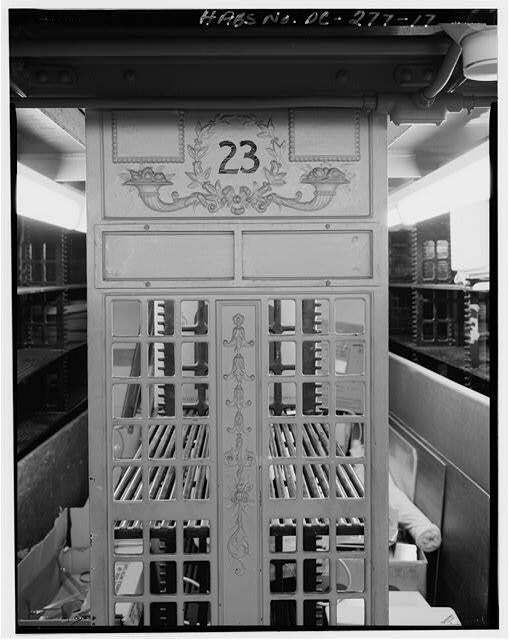 Detail of Snead stack number 23, view facing north, Army War College, Fort Lesley J. McNair. Photo by Jet Lowe, 1995. 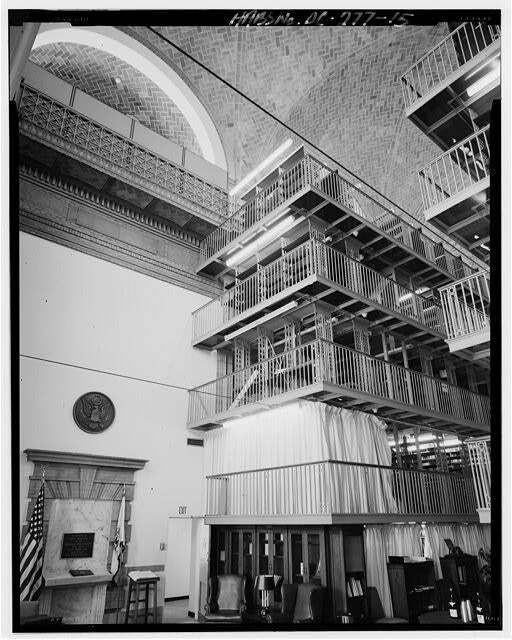 West wing/library, Snead stack system, view facing northeast, Army War College, Fort Lesley J. McNair. Photo by Jet Lowe, 1995.